Give your new year an optimistic start with TROLLS PARTY EDITION on Blu-ray February 7, 2017 and Digital HD January 24. The colorful, richly textured Troll Village is full of optimistic Trolls, who are always ready to sing, dance and party. 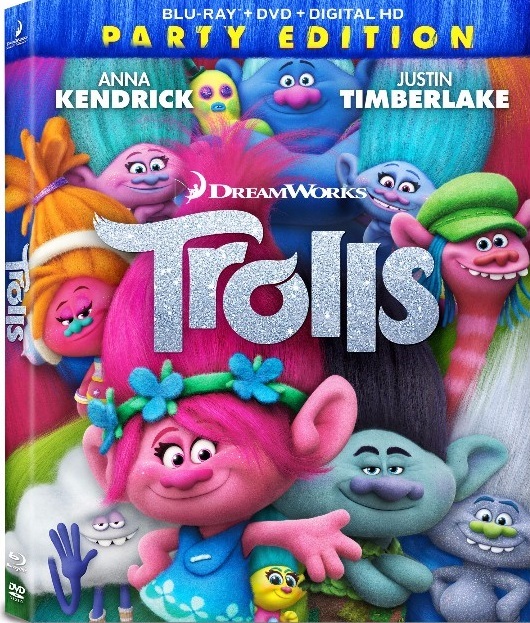 When the comically pessimistic Bergens invade, Poppy (Anna Kendrick), the happiest Troll ever born, and the overly-cautious, curmudgeonly Branch (Justin Timberlake) set off on an epic journey to rescue her friends. Their mission is full of adventure and mishaps, as this mismatched duo try to tolerate each other long enough to get the job done. DREAMWORKS TROLLS PARTY EDITION INCLUDES NEVER-BEFORE-SEEN SING-ALONG, DANCE-ALONG “PARTY MODE”, AND IS PACKED WITH FUN, COLORFUL EXTRAS, PERFECT FOR YOUR FAMILY MOVIE NIGHT! 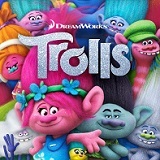 LOS ANGELES, CA (Jan. 10, 2016) – A hit with audiences and critics alike, DreamWorks Animation’s TROLLS, is the “feel-good” movie of the year receiving an outstanding audience reaction with a coveted “A” CinemaScore® and a Certified Fresh rating on RottenTomatoes.com. DreamWorks TROLLS, the fresh, music-filled adventure packed with humor and heart dances onto Digital HD on Jan. 24 and Blu-ray™ and DVD on Feb. 7 from Twentieth Century Fox Home Entertainment. From Shrek franchise veterans Mike Mitchell (Shrek Forever After) and Walt Dohrn (Shrek 2, Shrek the Third), TROLLS features the voice talents of Golden Globe® nominee Anna Kendrick (Pitch Perfect, The Accountant), Grammy and Emmy® Award winner and Golden Globe® Award nominee Justin Timberlake (Friends with Benefits, Shrek the Third), Golden Globe® and Emmy® Award nominee Zooey Deschanel (“New Girl”), Christopher Mintz-Plasse (Superbad, How to Train Your Dragon), Golden Globe® and Emmy® Award winner Christine Baranski (“The Good Wife,” How the Grinch Stole Christmas), Russell Brand (Get Him to the Greek, Forgetting Sarah Marshall), Grammy Award nominee Gwen Stefani (“The Voice”), Golden Globe® and Emmy® Award nominee John Cleese (Shrek 2, Shrek the Third, Shrek Forever After), Emmy® Award winner James Corden (“The Late Late Show with James Corden”, Into the Woods), Golden Globe® and Emmy® Award winner Jeffrey Tambor (Transparent, “Arrested Development”) and Ron Funches (“Undateable,” Get Hard). “The movie’s message, and it’s a lovely one, is that we all have a wild-haired, beaming doll of happiness inside. ‘Trolls’ will put you in touch with yours,” proclaims Owen Gleiberman of Variety. Give your new year an optimistic start with TROLLS PARTY EDITION on Blu-ray™ February 7, 2017 and Digital HD January 24. Exclusive to TROLLS BLU-RAY PARTY EDITION – take your Trolls Party to the next level with four interactive Party Mode features where you can use your remote to engage with the on-screen fun. Shower the screen with glitter during party scenes, drop cupcakes when things get scary, high-five Cloud Guy, join Mr. Dinkles for “OH SNAP” moments and much more! *PLUS, only on Blu-ray: use your remote to conTROLL fun on-screen moments! Travel Through Troll Village - Cloud Guy narrates a fun exploration of Troll Village. The Potion for Stop-Motion - Part behind-the-scenes, part stop-motion tutorial, this featurette explores the process of creating Poppy's visually stunning scrapbook. 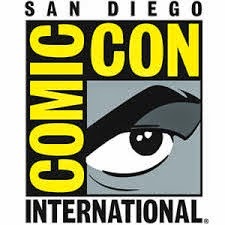 Creating Troll Magic - Trolls Production Designer Kendal Cronkhite-Shaindlin leads a kid-friendly exploration of her role as production designer on the film before highlighting four key stages of creating the animation with detailed visuals of each stage. Deleted Scenes with Intros by Director, Mike Mitchell and Co-Director, Walt Dohrn.